It's been an incredibly busy month following the release of Star Wars: A New Dawn and leading up to the debut of the Rebels TV series this past weekend. I think I've been on half the podcasts out there — and there's been a whirlwind of interviews. And the response has been gratifying — there were a passel of very nice reviews out there. There isn't time to list them all, but Roqoo Depot has a nice roundup here — with the latest just coming in from the New York Daily News. Thursday, October 9, 6 p.m.: It's not an official signing slot as I will be coming into town just an hour or so earlier, but if I can make it I'll be signing at the Random House/Del Rey booth (#2204) after 6. Friday, October 10, Noon: I'll be signing at the 47North/Amazon Publishing booth, #860. 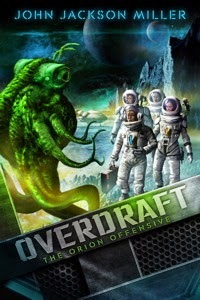 We'll be giving away copies of my Overdraft: The Orion Offensive book while supplies last. And whether you're there or not, the prequel short story is available for Kindle free during the convention! Friday, October 10, 1-2 p.m.: I'll be signing at the Random House/Del Rey booth (#2204). While supplies last, we'll be giving away Advance Reader Editions of A New Dawn. Saturday, October 11, Noon-1 p.m.: I'll be signing at the Random House/Del Rey booth (#2204). While supplies last, we'll be giving away Advance Reader Editions of A New Dawn. Saturday, October 11, 3:15 p.m.-4 p.m.: I have a New Dawn panel with Del Rey editors Shelly Shapiro and Erich Schoeneweiss, Lucasfilm fiction editor Jennifer Heddle, and Rebels voice actor Vanessa Marshall! This one is in room 1A14, with a signing to follow at Table 19. Sunday, October 12, 10-11 p.m.: I'll be signing at the Random House/Del Rey booth (#2204). 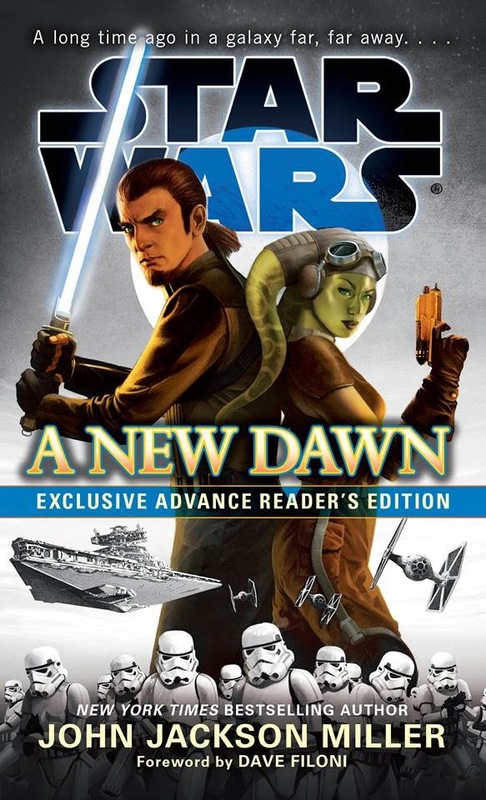 While supplies last, we'll be giving away Advance Reader Editions of A New Dawn. 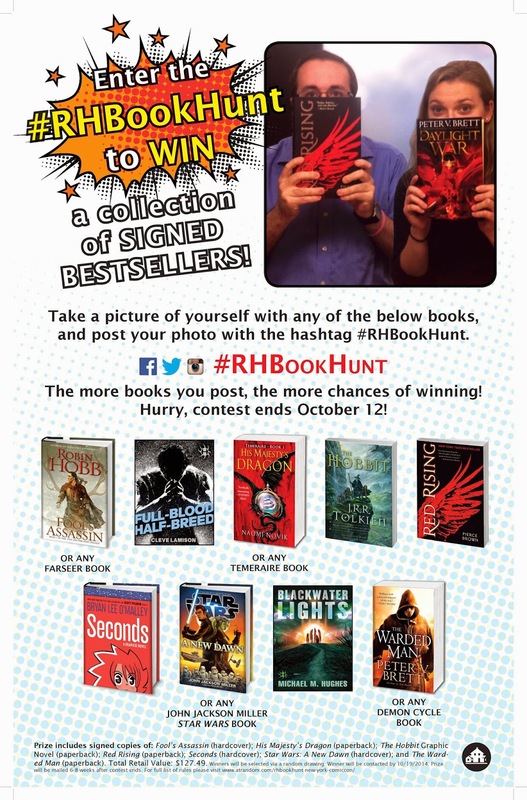 And whether you're at the convention or not, you can enter a drawing for signed books in the Random House Book Hunt by posting a photo of yourself with one of my books to one of the social media listed on the RHBookHunt rules page, here. Saturday, October 25, 1-4 p.m.: Signing at Powers Comics in Green Bay, Wis. 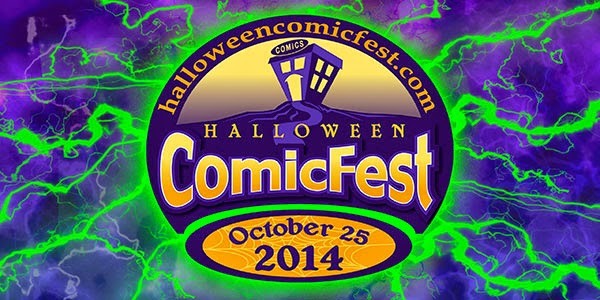 This is part of the new Halloween Comicfest celebration going on in comics shops across the country. Tuesday, November 11, 7 p.m.: Signing at Joseph-Beth Booksellers in Lexington, Kentucky. This will be my first Kentucky signing! Wednesday, November 12, 7 p.m.: Signing at Barnes and Noble's West Towne location in Knoxville, Tennessee. I'm a UT-Knoxville alumnus and this is my first major bookstore signing in town. Friday, November 14 through Sunday, November 16: I'm guest of honor at Atomacon in N. Charleston, South Carolina. This is my first time visiting South Carolina! Friday, November 21 through Sunday, November 23: I'll be rounding up the fall swing in my hometown with the Memphis Comic and Fantasy Con. That's got it! See you somewhere!